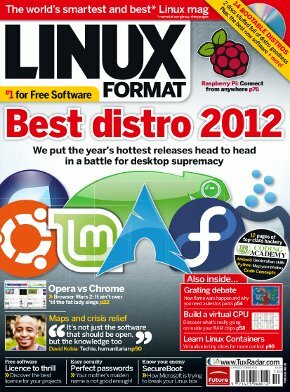 Best distro 2012: we put the top contenders head to head. Mint takes on Ubuntu in the classic battle between father and son. OpenSUSE Tumbleweed takes on the most popular rolling distro, Arch. Gnome desktops compete for dominance when we pit Fedora against Sabayon, and we fulfill our KDE obligations by looking at both Mageia 2 and Rosa - two closely related distributions that have yet to make their mark. It’s not close to being an exact science as there will be as many opinions as there are distributions. But it will be fun. Let the games commence! When you've decided what distro you want occupying your hard disk you might want to check out our guide to getting involved in flame wars, build a virtual CPU with 4 bits of RAM, improve your passwords, find the best licence for your best project or read all about how free software is making it easier to find a cheap bottle of Budweiser. All this and more in Linux Format!